In Dec 201`8, the Khyber Pakhtunkhwa Wildlife Department has authorised a local resident to set up zoo over four kanals plot inside a residential colony of Peshawar amid concerns of officials and conservators. Chief conservator (wildlife) Safdar Ali Shah said that his department had issued the provisional No Objection Certificate to Arab Gul of Muslim Town for the establishment of a zoo over four kanals of land. He said like the public sector, the law allowed the zoo’s establishment in the private sector, too. The resident has planned to develop a zoo over four kanals plot inside his residential compound. He has already kept an African lion and pairs of pony and spotted deer. Arab Gul said he had domesticated an African Lion which he obtained about three years ago. The lion has been kept in a 130-foot wide iron cage. “Keeping wild animals is my favourite hobby and so, I decided to establish own zoo,” he said. The Wildlife Department had seized the resident’s African lion and fined him Rs 40,000 for keeping it without licence. It, however, handed the lion back on ‘superdari’ to the resident, who brought the cub illegally. He later purchased more exotic animals and kept them in the house. Arab Gul said the pony and spotted deer were expected to produce offspring soon. This is the first zoo in the private sector in Khyber Pakhtunkhwa. Despite facing strong opposition of senior officials, the chief conservator issued the NOC for the zoo establishment. Earlier, a relevant conservator had denied issuing the NOC to Arab Gul. This is a politically motivated case and the chief conservator was forced to issue NOC to Arab Gul to set up zoo in a small compound. The department had yet to formulate rules under the Khyber Pakhtunkhwa Wildlife and Biodiversity (Protection, Preservation, Conservation and Management) Act, 2015. Section 42 of the Act says that the government may allow establishment of zoo or zoological garden in private sector for keeping animals of indigenous or exotic species for the purpose of recreation etc. First, the department has to frame rules under the Act and then issue NOC for setting up zoo in the private sector. Without framing rules, the department couldn’t authorise a person to set up zoo. The department should first define the area required for zoo, procurement of species, safety, licence for importing exotic animals, health guidelines for animals, and other basic requirements for keeping wild animals. It doesn’t mean to put animals in a lockup inside a small compound as they (animals) too need open space. Limited space results in confrontation among animals. One official said that the department could at least issue possession licence to an individual for keeping animals. The official said establishing zoo was very tricky job because it involved several international agreements and conventions for importing exotic animals. He said the zoo owner would get permission for the procurement of animals and would identify the origin of wild species. The official said Pakistan was a signatory to the Convention on International Trade in Endangered Species and would get permission for importing and exporting wild animals. He said African lion was an exotic animal and its owner should possess import licence. The official said the department would determine health and safety guidelines for a zoo under the rules. 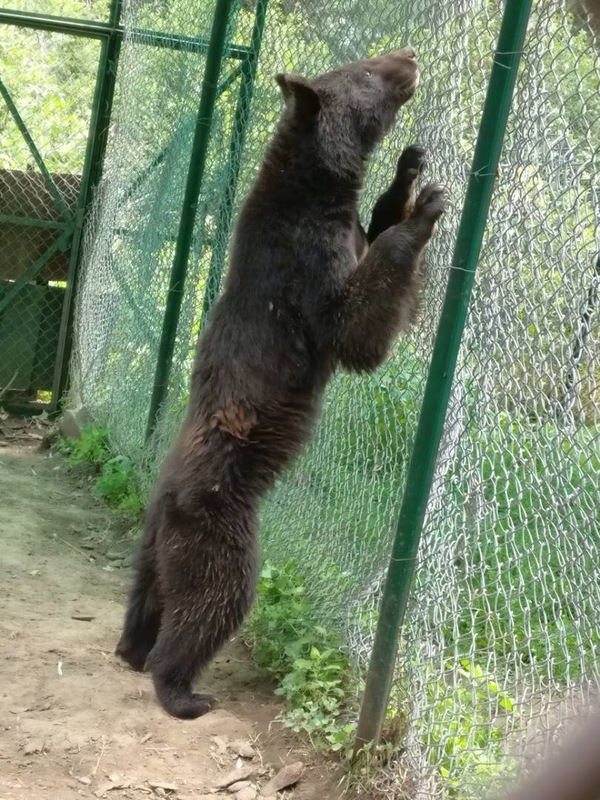 The official said animals could react anytime and the department would define security and safety measures for zoos in both government and private sectors. Mr Gul rejected the concerns of experts and some officials of the department, who opposed the establishment of the facility for wild species. He said he had hired services of two senior veterinarians, who regularly carried out the checkup of his animals every month. The resident said he had obtained a pistol to tranquillise an animal in case of emergency. “I have domesticated a lion that always plays with my children,” he said adding that the department could generate revenue if it allowed the establishment of zoo in the private sector. Previous Previous post: Who Killed the 5 Deer in Islamabad’s F-8 Enclosure?